SEO can be a rather complicated and abstract thing. What exactly do we mean by increasing keyword density? How do you start with improving the structure of a site? That’s why I’m going to write a series of Ask Yoast case studies. In these case studies, I’ll take a look at a specific site (the owner knows about it of course :-)), and I’ll give some SEO advice. In this first case study: SEO of a mom blog! Improve the SEO of a mom blog! In this case study, a mom blog’s SEO is the central topic. 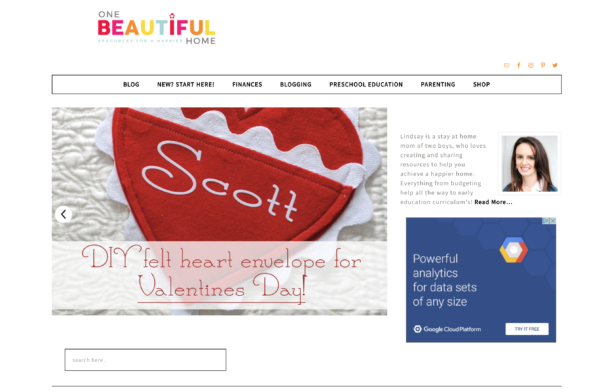 Lindsay Butler of One Beautiful Home asked us to look at the SEO of her many blog posts. One Beautiful Home is an awesome mom blog. Being a mom of 4 myself, I really enjoyed browsing through this blog. I especially enjoyed all the printables and worksheets Lindsay offers. She really made her blog into a shop. Her writing style is entertaining and the subjects she chooses are great. I think this website has great potential, and, I have to say, I’ll become a regular visitor for sure! That being said, I’d also like to give Lindsay some advice for improvement. At the end of this blog post, I’m going to answer her question. But before I come to that, I want to give some general SEO advice to improve the SEO of Lindsay’s website. Advice more blog and website owners could benefit from! When looking at One beautiful Home, you cannot escape the ads. Especially the ad below the banner is huge. The banners also load very slow, which is pretty annoying. Too many ads and banners can be detrimental for both the UX and SEO of your site. You shouldn’t put too many ads on your website. Of course, I understand that these ads generate income as well. So, removing the ads could reduce the income of your website. That’s scary. Still, removing them will probably improve your rankings and the User Experience. That’ll definitely have a positive effect on the sales of your own products. The page speed score of the homepage of One Beautiful Home is very low (17/100 on desktop in Google Page Speed Insights). A low page speed is bad news for your SEO! The images on the homepage are quite heavy and should be optimized. Overall, you could reduce their size by 3.5 MB (76% reduction), which would, most likely, substantially boost your site speed. 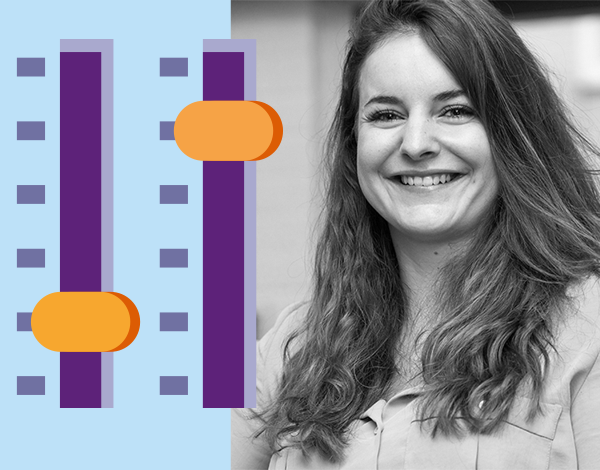 After reading a first draft of this post, Lindsay already took some steps in improving both the speed of her site as well as the number of banners. That’s really awesome! The first step of every SEO copywriting strategy is executing proper keyword research. To do so, you really have to get inside the heads of your audience. What words are they searching for? What terms do they use? You should use tools like Google Trends to check out which words are used most often. After you’ve finished your keyword research, you should have a long list with competitive (head) search terms and less competitive and more specific (long tail) search terms. For this mom blog, examples of search terms could be [debt free living], [pre-school education], [pre-school education printables]. Search terms as [parenting] are probably too competitive to rank for. 2. What are your cornerstones? What are the articles you’re most proud of? From every category on your website you should choose one blog post (it could be a page as well) that really reflects your core business. Cornerstone content should be rather long and informative articles, in which you can describe all important aspects of the main topic. In these cornerstone articles, you’ll use the most competitive keywords. 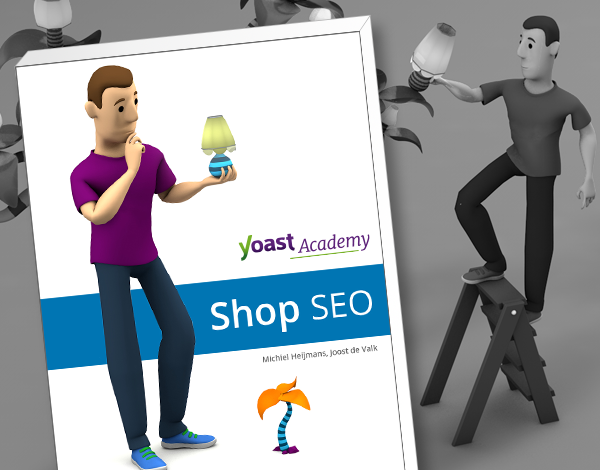 Our Yoast SEO plugin will help you optimize your text. Check out the bullets and start optimize your cornerstones for the most competitive keywords. Make sure to give your cornerstone articles a prominent place on your website. You should be able to navigate to these specific articles within two clicks from the home page. Category pages could be great long tails too. I think that would be a doable strategy for One Beautiful Home. Lindsay should write an awesome informative category page about parenting, about debt free live and about pre-school education. After you’ve optimized your most precious articles, you should dive into your long tail posts. These are the posts that dive into a more specific feature of a subject. Again, use our plugin to optimize for those long tail keywords. Optimizing lots of posts for slightly different long tail keywords is a great SEO tactic. Last step of your SEO updating strategy: make sure to link from all of these long tail articles to your cornerstone article. That way, you’re telling Google: this is the most important content. In the end, that’ll be the article that will pop up in the search results. “I have read so much about keywords, but there is still one question I cannot figure out. I write a lot about getting out of debt. A “main” keyword for that topic let’s say is [Debt Free Living]. I have 75 posts that relate to that keyword. How would I use that that keyword for all of those posts? I know I cannot duplicate the keyword, so how does someone do that? The answer to this question is: Yes, you should write lots of post about niche subjects [paying off student loans], [buying a used car]. I won’t use the [Debt-free Living: buying a used car] keyword, as I suspect nobody will search for that exact term. You should make a list of keywords surrounding your head keyword [debt free living]. Make sure these keywords are search terms people actually use in Google (you could use Google Trends to figure that out). Second step is to write that cornerstone article and optimize it for your head term [debt free living]. We have written Ultimate Guide articles about key aspect of SEO. These are our cornerstone articles. Make sure that every long tail article about debt free living links to your most important article (and keep on doing that if you write new articles). That way you’ll tell Google which article about debt free living is the most important one. To improve the SEO of this specific site, I would recommend removing a lot of the ads and improving the site speed. And, follow my four steps to optimize all of the text. I’m sure this website has great potential. It has found a niche within the mom blog niche. That’s great. 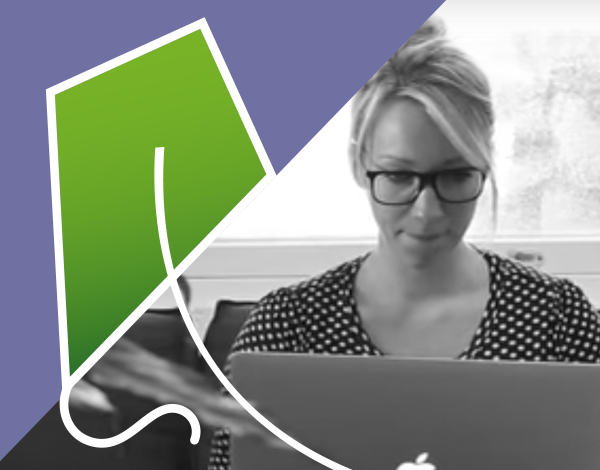 We understood from Lindsay that she already went ahead and started improving things like site speed and the ad display. So you might see some changes on her site already, if you go there. We’re excited to hear she took action immediately. Good luck with your website, Lindsay! Do you want to set up a brand new website or move your website to a new host? Choosing a web host can be hard, because there are thousands of hosting companies out there. So it’s a tough decision to make, but a very important one too. When you’re comparing various hosting aspects, should you consider the location of the web host too? Is the geographic location of their web server important for SEO? Hear what we have to say about this, in this Ask Yoast. “Gerardo Garcia is from Spain and he has found web servers in Germany and England that are cheaper than the ones in Spain. He’s wondering if the location of a web server is important for SEO. First of all, no, not really. But that’s not the entire truth. Because for your visitors you want the most speed, and you’ll get the most speed by hosting as close as possible to them. And you can achieve that by hosting your site in the country where your visitors are coming from. We’re Dutch, but our main servers are in the US. Why? Well, because the majority of our visitors are from the US. We also have a server in Europe, because we get many visitors from Europe too. So think about that. Of course, we are on a slightly more expensive set up than you would probably be, and need to be. So focus on the country you think is the most valuable. To be honest, if you’re looking at price too much for you hosting, you probably not doing yourself any service anyway. Don’t go for the cheapest hosting, go for the best hosting. Paying a couple of bucks more per month, really is worth it, When your site is down otherwise, stuff is just not working. So, I would suggest going with a host that has servers in Spain or at the very least have people that can service you in Spanish in Spain. And then, whether these servers are located in Barcelona or in London, the technical existence of these servers doesn’t make too much of a difference. You might have a lot of small sites which are topically related to each other. If you want to get more traffic to these sites, how do you achieve this? Do you have to bundle those sites to gain more traffic? And, what’s best for SEO when you want to run a new campaign? Set up a new domain for each site? Or add it as a subdomain to an existing site? 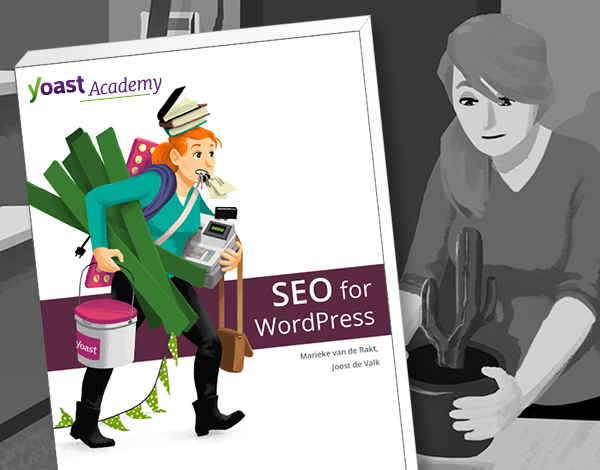 Joost helps you out with these questions in this Ask Yoast. One domain or multiple domains? What to do when you run multiple campaigns? Choose one main domain or use a single one for every campaign? Check out the video or read the answer below! Yes. Usually when you have a lot of small sites, consolidating them into one bare one is a good idea. Because it actually makes it easier for people to click around, to get more engagement with your site and you’ll have more links pointing at one domain, instead of a lot of links pointing at all the separate domains. So, yes, I would do that. And if you build new campaign sites, try to build them as a sub-directory on your main site, instead of setting up a new domain for everything. Because a new domain for everything, really means that you’re starting fresh with Google all the time and that’s just a waste of your efforts on SEO. Let’s say you own the website http://www.some-example.com. At one point, you might like visitors to go to the non-www version instead of the www version of your domain. In addition to this, if you follow security best practices, you might want to switch from HTTP to HTTPS. What should you do if you want to make both these changes? You probably figured out that you’ll have to redirect traffic from your current domain to your preferred domain. But what’s the best way to do this? Is there a preferred order? “I want to move my site from www and HTTP to non-www and HTTPS… what should I do? How to switch from HTTP to HTTPS and www to non-www? You should do both at the same time. You should redirect the HTTP link straight to the HTTPS version without the www. Don’t try to do that with two 301 redirects, you should do that in just one 301 redirect. Forcing HTTPS is something that you need to test really well. There are all sorts of things in your site that probably aren’t HTTPS ready that you should know of upfront. I know it was a lot of hard work to get yoast.com to HTTPS and we don’t even have ads. Especially ad services can be really tough to get working on HTTPS. But you should do it in one go. So it’s really secret option number three: redirect from one to the other straight away, and don’t think about anything else. If you really can do HTTPS for everything and it works fine, make sure to add an HSTS: ‘Strict Transport Security Header’, which forces everything to be over HTTPS. And then, if the browser sees an HTTP link to your domain in the content somewhere, it will still automatically grab the HTTPS version, thus the right one.